A one-minute testimony from Josh Hawley. He opposes his opponent’s support of partial-birth abortion. Many have concluded that the battle, yes, recent “circus” in October, 2018, of the US Senate’s process to approve Supreme Court Justice Bret Kavanaugh – was really about abortion. As a member of the Supreme Court, it was thought by his opponents that he just might be able to “slow down” the destruction of unborn babies through abortion. Kavanaugh’s opponents just could not allow that happen! And since, as a Supreme Court Judge, he would be an interpreter of the US Constitution … and would not “make law” from the high Court … he defiantly was a threat if confirmed. Do we really think that our “Founding Fathers” composed a Constitution that would one day approve the destruction of more than 60,000,000 unborn babies?! Of course not! Such a “green light” to kill is not there!! So Judge Kavanaugh’s opponents concluded that they just could not allow that to happen! They fought against him. (Reminds me of the Old Testament Scripture: “They will fight against you, but they will not overcome you, for I am with you to deliver you.” says the Lord’” (Jeremiah chapter 1, verse 19) (Also reminds me of Josh Hawley who is Pro-Life! Jeremiah, as an unborn baby, was recognized by God as a person, even before God had begun to form him in his mother’s womb! And it was indeed God Who did the “forming” of the baby. Five times the pronoun of personhood (“you”) was used to describe Jeremiah while he was yet in his mother’s womb! He was a person … before and after birth! And abortion should not be a form of birth control, which now is, sadly, quite common. Partial birth abortion has since been declared illegal, but Clair then declared her support for that awful procedure. She may by now have repented of this wicked counsel … but, if so, I haven’t heard of it. And with “Planned Parenthood” being the largest mass destroyer of unborn babies that they are, Senator McCaskill voted FOR the approval of $400 Million of our tax money going to finance Planned Parenthood. And she made other favorable votes for PP before that! And her support means that we … all of us … taxpayers are forced to pay for Planned Parenthood … whether we like it or not! So Senator McCaskill, “It’s time to go.” Missouri needs a Senator who will support preborn children being allowed to live. 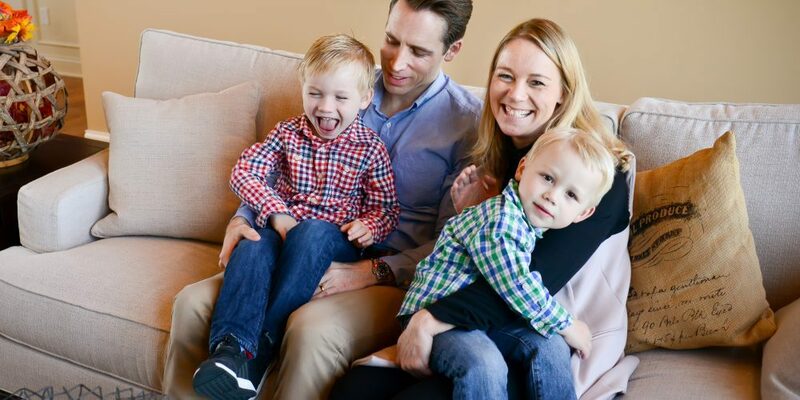 Josh Hawley will fight protect unborn children … allowing each one to live! We need Josh Hawley as our US Senator. Below are links to a number of brief radio segments that define Josh Hawley. And also, links to other brief segments affirming the importance of the unborn having the right to live. for Anytime Listening… Take your pick! To hear … “Zina Hackworth: 7 of her 13 children are Eagle Scouts; founder of ‘This Race Will Self Destruct’” … click on … http://haroldhendrick.com/2018/03/01/zina-hackworth-7-13-children-eagle-scouts-creator-race-will-self-destruct/ — Zina Hackworth, an African-American lady, notes that abortions are performed on AA women at the rate of at least two-to-one per capita more than Anglo [white] women. Zena’s research reveals that “African Americans make up about twelve percent (12%) of the population but have approximately thirty-six percent (36%) of all abortions in the United States. … She issues the challenge: “WAKE UP! We are the ONLY race in the history of this country who is no longer replacing ourselves. We have killed 14 million of our own children!” Zina Hackworth thus sees those who support of abortion … with black babies being destroyed at a rate of 2 to 3 to 1 more that white babies … as a form of racism! To hear … “Pregnant, unmarried in 1905, she chose life for her baby; Senator Scott talks of his great-grandma!” … click on … http://haroldhendrick.com/2016/08/25/pregnant-unmarried-in-1905-she-chose-life-for-her-baby-senator-scott-talks-of-his-great-grandma/; — Former Missouri Senator Delbert L. Scott – now President of Kansas Christian College – counts more than 100 descendants (including himself) from his grandmother, allowed to live by his unmarried great-Grandmother who didn’t abort his grandmother. We should all be thankful! So thankful we didn’t have “Planned Parenthood” then to tempt her! And to hear earlier radio … “A one-minute testimony from Josh Hawley: ‘Following Jesus is the greatest adventure of your life!’” … click on … http://haroldhendrick.com/2016/10/25/a-one-minute-testimony-from-josh-hawley-following-jesus-is-the-greatest-adventure-of-your-life/ .